Ready or not, here comes spring break. 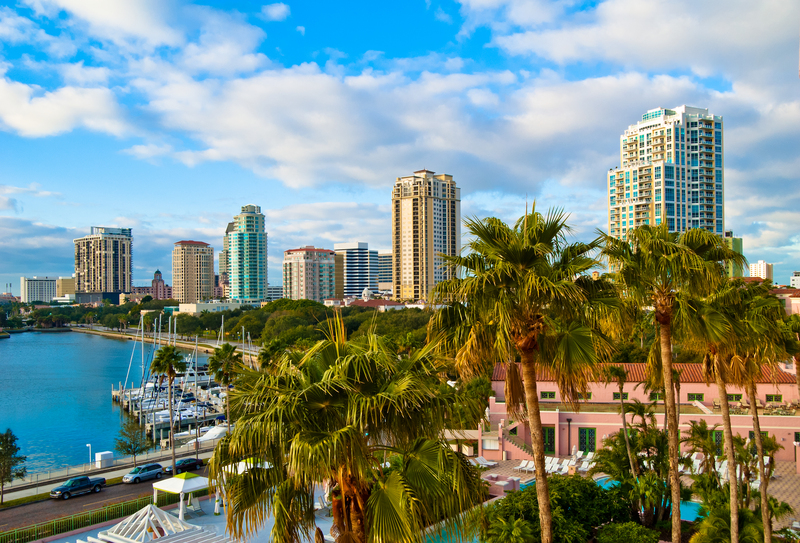 Luckily, you don’t have to stray far from your home to find incredible beach destinations, whether you want a Gulf Coast getaway, or a Florida beach trips, or hope to spend a few days recreating your favorite scenes from Shag in Myrtle Beach. Whether you’re kicking back on the powdery white sand beaches of Orange Beach, Al., jet skiing in the blue-green waters of the Gulf of Mexico, or playing a round of golf (or even mini golf), eventually you’ll need to eat. 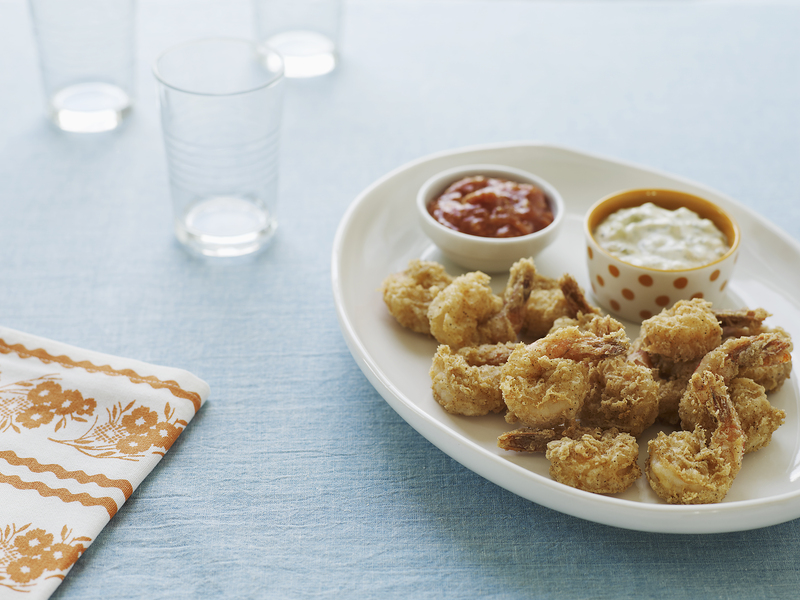 Luckily, the South’s beaches are lined with places to pick up a great meal whether you’re in the mood for fried shrimp, a steak dinner, or a memorable piece of peanut butter pie. The oysters at Doc’s Seafood Shack are fried to perfection, piping hot, crispy, and juicy when you bite into them. 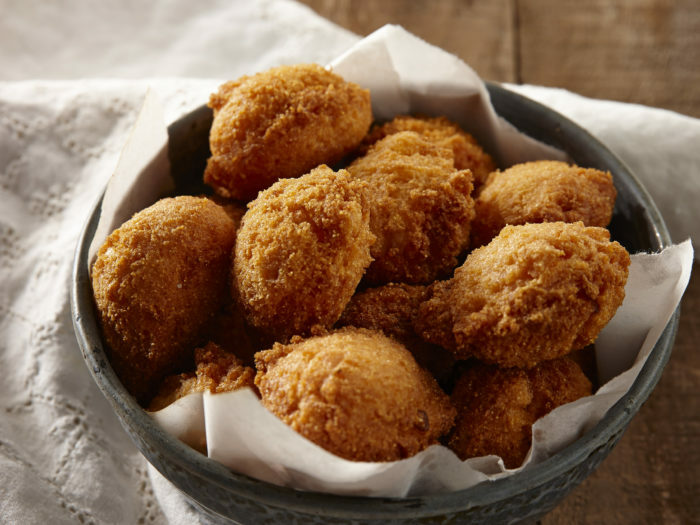 The restaurant is also home to “the best fried shrimp in the civilized world,” if they do say so themselves, and their other fried delights—onion rings, hush puppies, and fries—aren’t too bad either. Doc’s will even fix up your own catch, if you bring your haul into either of their two locations. This St. Pete’s institution goes through close to three million pounds of Florida fish every year, transforming it all into a smoke-infused treat. The smoked mullet, cooked over Florida red oak wood, is a local legend, but if you’re looking for a feast, try the smoked Mahi Mahi dinner served with a German potato salad and coleslaw. Don’t forget to take home smoked fish spread for later. The Bubble Room is one of those places that makes visitors shrug and say, “Only in Florida!” Equal parts curiosity shop, restaurant, and bakery and filled to the brim with vintage toys, Christmas decorations, and a moving train that run throughout the three floors of the restaurant, the Bubble Room has been making people smile since 1979. The menu is filled with unique items like Bubble Bread and Flaming Socra Cheese and every entrée comes with one of their famous sticky buns. However, it’s the desserts that steal the show with mile-high slices of cake, ice cream pies, and more greeting guests at the front door. Lee’s Inlet Kitchen has been putting fresh Carolina seafood on the table since 1948. They serve up platters of fish, oysters, shrimp, and crabs that are so large the table may groan as they are set down. 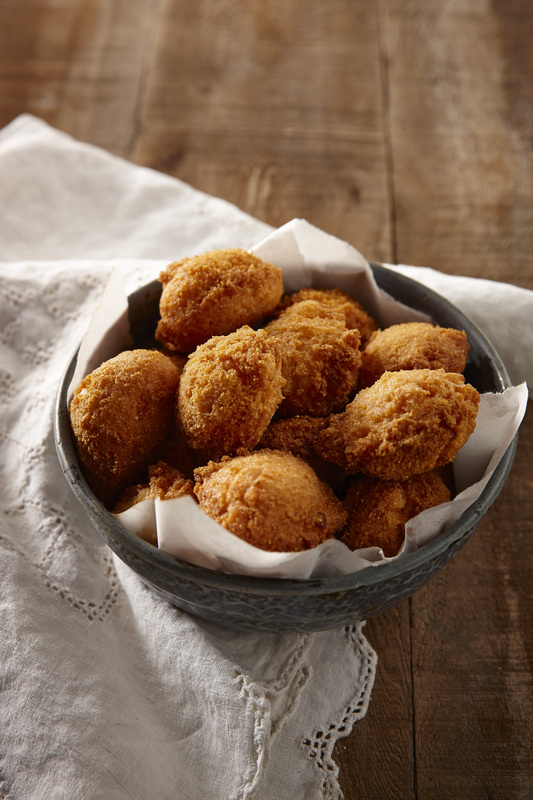 The restaurant’s she-crab soup has won multiple awards and the desserts are incredible, but if you fill up on the restaurant’s piping hot hush puppies, you will still go home happy. This Georgia sea coast landmark includes directions by both land and sea, so guests will always know how to find their way to a good meal. 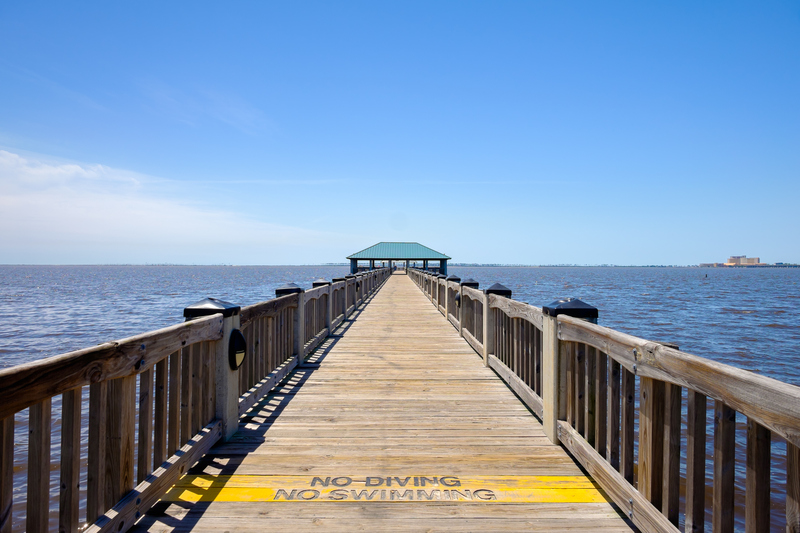 Park your boat or car, head to one of the restaurant’s many decks, and order up buckets of the local blue crab or peel & eat wild Georgia shrimp paired with a Budweiser and the house-made chips and salsa. Kick back with your feast while watching the birds circling over the Sunbury Harbor for a quintessential Southern spring night. One of the true culinary delights of the Alabama coast is a simple bowl of Gulf-caught crabmeat, lightly dressed with cider vinegar, onion, and oil. Known in these parts as West Indies Salad it is featured on menus across the Gulf states, but was invented at Bayley’s Seafood Restaurant in Theodore—and there’s no better place to indulge. Load up on West Indies Salad and sample the restaurant’s other menu items like fried crab claws or baked crab all sure to satisfy. While most people think of Pennsylvania as Amish country, Florida puts in a good claim to the title at Yoder’s Restaurant and Amish Village in Sarasota. The restaurant and bakery opened in 1975 and has been cranking out 100 pies a day to serve the hungry customers who line up to take home their favorite of Yoder’s 25 varieties of pie. The restaurant serves up hearty Amish fare like their famous fried chicken and meatloaf, but everyone knows to save room for dessert. It is hard to choose between baked peach, southern pecan, or homemade butterscotch, but the real showstopper is the peanut butter cream pie. The sign of a true culinary institution is when the locals happily wait with the vacationers for a chance to eat. The South Padre Island’s no frills seafood shack Dirty Al’s definitely fits the bill. Load up on their fried shrimp, blackened snapper, or Taby’s Ceviche (or the fried fish throats, if they’re in season) and indulge in a long-standing SPI tradition. The restaurant lays claim to the title of oldest eating joint in the Florida Keys and it’s got a lot of history under its belt. You can’t eat history, though, which is why the restaurant serves up diner classics like omelets, BLTs, and burgers, as well as full steakhouse dinners with all the fixings. The truly hungry (and adventurous) can try the steak smothered in pork chops, which makes the 12 oz strip steak sound downright delicate. Finish the meal with Pepe’s own coffee. With autographed photos of famous locals (mostly football players) on the walls, this is pure Mississippi. The stand-out po’boy combines beef and shrimp for a portable surf and turf, while the muffelata and bopper (that’s bacon, oysters, and provolone) are also worth trying. Add on a serving of the house-made gumbo or crawfish bisque and the bread pudding, and wash it all down with a glass of their sweet tea. The best part of the Flora-Bama is not the food, it’s the fact that you can drink in two states, as the ramshackle building sprawls across the borders of Florida and Alabama. Set on the beach in the middle of Perdido Key, the ramshackle bar/music venue/yacht club/liquor store earned a spot on Southern Living’s 100 Best Bars in the South list. Flora-Bama may be best known as a watering hole, but their frickles (that’s fried pickles) Cajun oysters served lightly spiced and dusted in parmesan are downright delicious—especially after a few pints or one of the bar’s legendary Bushwhackers, which is the ultimate adult milkshake. This article originally appeared in Southern Living by Melissa Locker.